On Sunday 12th May 2019, a community benefit project will be launching across the UK. At the peak of the horticultural season, Garden Day is aimed at encouraging people to spend the day celebrating their gardens with friends, family and neighbours. The organisers of the event has said anyone and everyone can get involved in Garden Day – from family gardeners and allotment aficionados to houseplant enthusiasts – by hosting get-togethers at home. Whether it’s for tea and cake, a plant swap or a more-the-merrier lunch, celebrations of all shapes and sizes are encouraged. The aim of the day is to celebrate the joy gardens bring all year round and to connect with neighbours, family and friends. As a sign of their support, enthusiasts are invited to wear a flower crown on Garden Day. Garden Day is created and funded by Candide, a new gardening app that connects gardeners with fellow plant-lovers, public gardens and plant nurseries. Garden Day was first piloted as Somerset Garden Day in 2017 and, due its success locally, it is now rolling out nationwide. The consumer-facing campaign will run for two weeks from 29 April to 12 May 2019, supported by a nationwide PR, digital and targeted advertising campaign. Garden Day is focused on creating a fresh way for the industry to kick-start the gardening season whatever the weather, drawing customers into garden centres in the two-week run-up to Garden Day to get ready for their celebrations. Retailers engaging with the campaign can position themselves as offering everything customers need to dress their gardens for Garden Day – from plants and containers to furniture, BBQs and garden decoration. 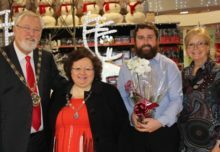 Garden centres are invited to use the free Garden Day campaign and flower crown imagery to generate local PR, boost staff morale and engage customers online and in-store. Ideas include hosting pop-up flower crown workshops for customers, creating exclusive Garden Day product promotions or wearing a flower crown in-store to get customers and local media talking. 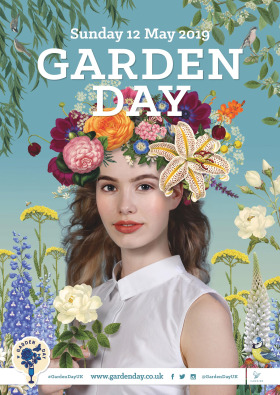 Garden centre staff are encouraged to share their flower crown selfies on social media in the Garden Day Trade Photo competition by tagging @GardenDayUK and using the hashtag #GardenDayUK. Garden Day takes place at the start of Mental Health Awareness Week, underlining the positive impact of gardens on wellbeing, which is increasingly being recognised by the country’s major institutions. Last year, the RHS teamed up with the NHS to produce research that showed the positive impact that gardens can have on mental health. Furthermore, in acknowledgement of the role gardens can play in combatting loneliness and social isolation, the government also recently pledged an extra £1.8 million in funding towards community gardens in order to encourage people to come together. From mid-April, a Garden Day toolkit of free downloadable resources will be available from the campaign website www.gardenday.co.uk including marketing tips and ideas, posters, leaflets, table talkers, press release templates and invitations.